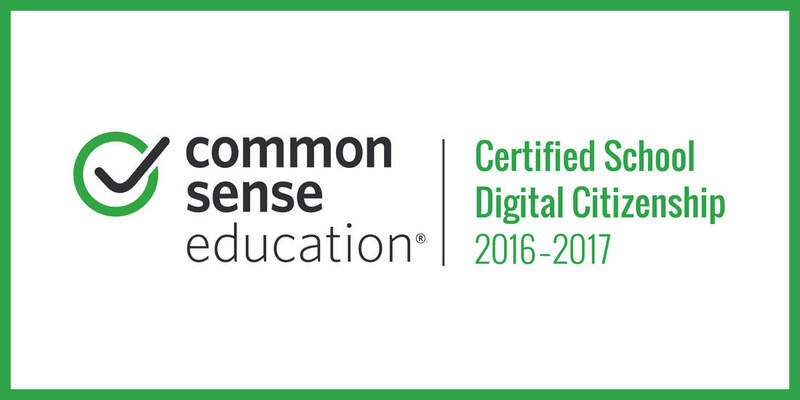 Digital Citizenship is curriculum produced by Common Sense Media that is taught at all Fulton schools. The lessons teach students how to use digital media in a safe way. There are activities focused on internet safety and online manners. Some of the lessons include guidelines about personal information, cyberbullying, cheating, communication, copyright, digital footprints, and self-image. Like all lessons learned in school, it’s imperative that parents also talk with their children about how to stay safe online in this technological age! Common Sense Media has many articles about how to help your child navigate the internet, reviews on movies/games, and general parent media concerns. As the METI at Ison Springs Elementary I teach most of the lessons. I thoroughly enjoy instructing these smart scholars about how to use the internet safety without letting it become intimidating! Click on the Common Sense Education button below to visit the parent information site.